ikat bag: Drafting Part X - What About The Boys? And the men? And the women (who are actually doing the sewing)? When I planned this drafting-for-children series, I knew it was going to look heavily skewed in favor of the girls. I also knew that there would be readers who'd ask if they could use all this stuff for boys. And, by extension, for men. And - because that's who most of us are - for women. So here's the good news: yes to boys, yes to men, and - to a limited extent - yes to women. I made a lot of gender generalizations in order to write the next few paragraphs - so to my readers who are more familiar with quite different gender clothing styles, I beg your pardon. And in drawing out differences between boys and girls, and men and women, to explain why we draft their patterns they way we do, I chose to go with good ol' biology. Bearing in mind that because prepubescent boys and girls are alike in their general body shape, girl slopers and boy slopers are therefore the same. However, where girl slopers become girl patterns, the differences begin. For instance, in becoming a dress pattern, girl slopers take on new and interesting shapes that are quite unboyish, like A-lines, and fitted waists and flared skirts. So unless you are making kilts and such for your sons, nephews and grandsons, best to keep to the more traditional style of boys' clothing. But let's get to the point already. Retain the jewel neck and shoulder area for a good fit (you might like to add a little ease to the shoulder width). Add a little design ease to the chest circumference and draw vertical side seams. Cut off the sloper below the navel or even closer to the hip line. Add short sleeves or longer roll-up sleeves with or without cuffs. and you get the basic shirt pattern for a boy. My main principle for adapting a sloper or pattern for a boy is ease. The contours of boys' bodies are never hugged, unless it is for a gym unitard or similar stage costume. So for a top (like a shirt or Tshirt) the side seams are straight, the hem is way below the waist and there is ample ease at the chest and even some in the shoulder width. Older boys and men have a more developed muscleature than young boys, particularly in (for the upper body) the chest, shoulders, neck and back. This requires more precise fitting in those areas of men's slopers and custom patterns. Personal preference, vanity and fashion trends dictate the design of men's patterns, so that the whole idea of a custom fit is no longer limited to women. If you've ever had trouble buying a shirt for a guy because the arms were too long or the collar too small, you'll relate to this: even in men's clothes, one size does not fit all, nor is the S, M, L system of sizing necessarily sufficient. I know so many frustrated friends who are between "sizes", whatever "size" means! I'd love to sew shirts - and I don't mean the aloha-print billowy Target variety - for my husband someday, but whenever we discuss this, we both roll our eyes and guffaw - there is just no time to sew custom-fit stuff for all the people in our live whom we love, is there? So the poor man wears shirts whose sleeves could be a couple inches different and dreams of the perfect bermudas. Some day, dear, when the kids are in college and I am no longer scraping dried string cheese off the kitchen floor. Some day. Women are girls grown up. And since it is most significantly their fronts that grow up, their backs stay basically the same, except bigger. So the back sloper for women is drafted the same way as for girls. Women's waist-to-hip ratio is usually smaller than that for girls, so expect more slanty side seams or waist darts, or both. Is, unfortunately, vastly different. I'll do a quick mini-tutorial on the bust dart in an upcoming post, I promise. 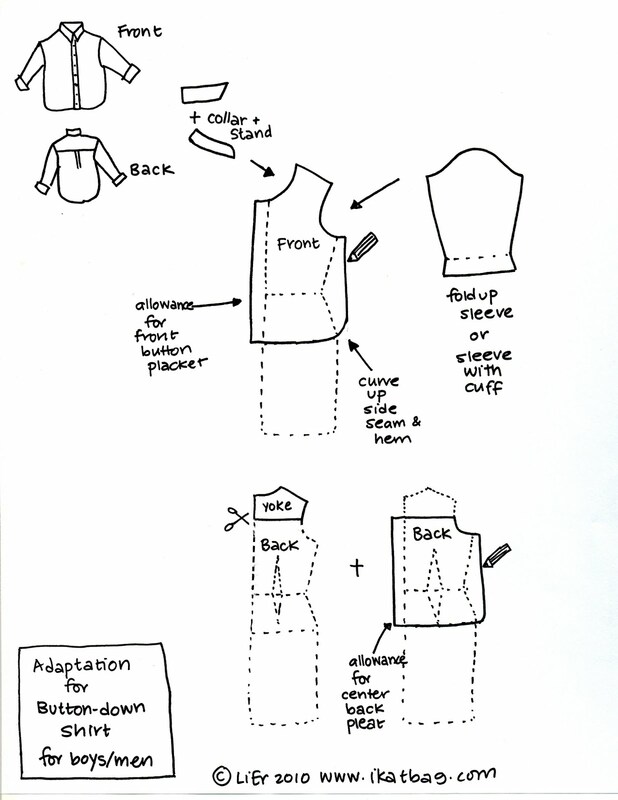 It won't teach you to draft a women's sloper (that's a whole series in itself!) but it might help you adapt women's commercial patterns to fit you a little better. Good news - apart from being more curvy in general, women's lower bodies are also the same as girls'! At least in a drafting sense. 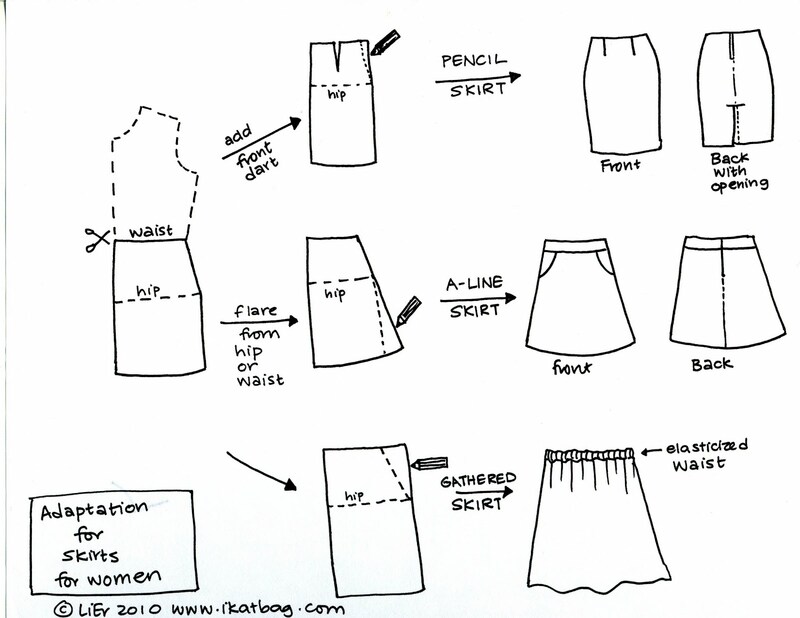 So you can use our sloper tutorials to draft a skirt for you! Whoooooo! As mentioned, the waist-to-hip ratio for women is smaller, so expect to need wider/deeper darts or more than one dart (will explain more in future post on darts) to take in the fullness at the waist. Mum and I use to exaggeratedly describe the waist ease by the number of chickens (or whatever arbitrary animal was funniest at the time) one could stuff into one's waistband. So we'd be in a store and try on a skirt or pair of jeans that clearly needed a deeper back waist dart and exclaim, "Three chickens! Who was this drafted for - a man?" Little girls hardly ever need front waist darts in their skirts. Women, however, may need them if they have particularly wide hips or protruding abdomens. 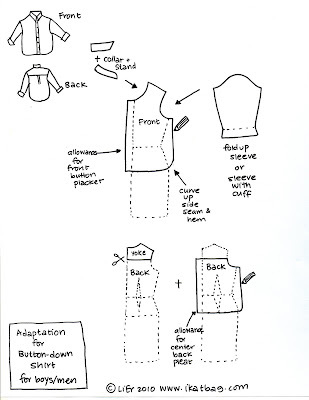 So draft in some front waist darts if you need to - there are probably many skirt-drafting tutorials out there on the internet to get you started. 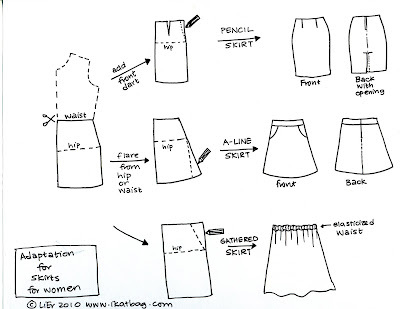 Below is a cheat sheet showing how to adapt the lower body sloper for three very popular and classic skirt patterns. follows the sloper almost exactly, except for the addition of a front waist dart. The side seam is let out by exactly the same amount at the waist, as the width of the dart, so that when the dart is sewn closed, the waist is the same size as before.The side seam continues below the hipline either vertically or (if you are superslim) slanted inwards slightly. 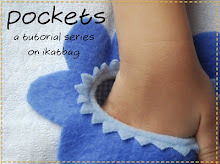 You'll need to insert a zipper either at the center back or the side. And because it is such a snug fit, an open pleat (or some other kind of opening) at the back or front hem will help in walking! is the easiest, most flattering pattern I know of - it draws the eye to the small waist, skims the curviest part of the lower body and has a high comfort level without the bunchiness of gathers at the waist. I like mine to sit just below my natural waist and I usually omit the front waist darts. Since this usually begins as a rectangle, you can really make it without needing a fancy schmancy sloper. You only need your hip measurement, because the skirt needs to fit over the widest part of your lower body when you pull it on. But just for completeness, I've included it in the cheat sheet to show how it evolves from the sloper. One last question I anticipate: What about pants? Girls wear pants, too! Yes, they do, but the trouser sloper is another different draft altogether. Maybe someday we'll work on it together! Thank you once again!. This is great info. WOW. I'm so happy Rae told me about you! I'm going to dive into your archives and keep up from now on. Beautiful work! Hello, LiEr! 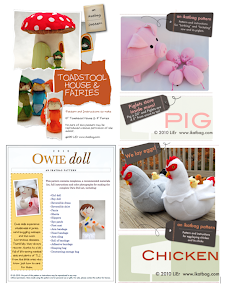 I just found your blog this week and love the drafting pieces. I'm trying to figure out how to apply them to me (65 yo woman) and wondered if you'd done anymore tutorials on the front sloper? Terri: I've done a few more drafting-for-adult-women tutorials on darts, sleeves and altering slopers in general. I haven't had time to put them together in a series yet, so they're all over the place. Do a search for "Subtleties in Drafting+ikatbag" or "ikatbag+ sloper" and these should come up. You can also access the sleeves and darts posts from my sidebar: look under "most visited". Otherwise, also in my sidebar, if you click on the "drafting" tag in my Categories cloud, it should bring up the more recent drafting posts, which are all for adults. Please, please, please, do a series/tutorial on women's sloper! your teaching so so clear and simple and it is so incredibly hard to find anything that can clearly show a novice how to draft a sloper while explaining what each step is along the way.